First we get a release date for that awesome Trigun figure. 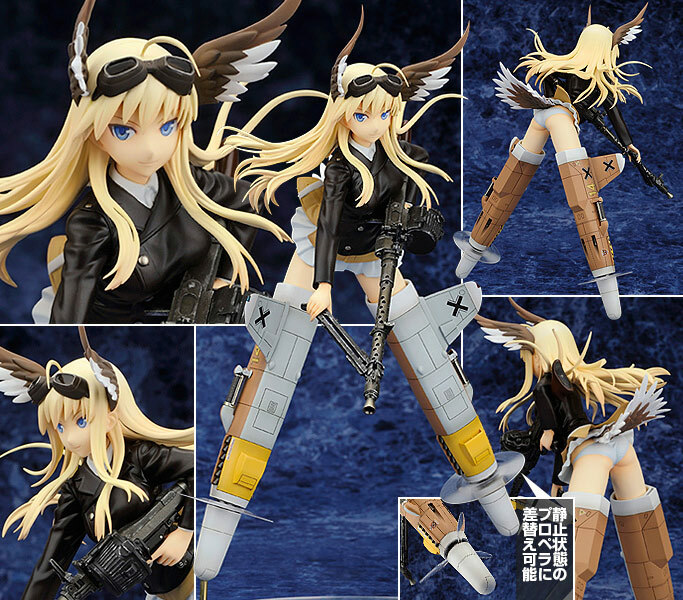 Next, we check out Alter’s answer to Volks’ Hanna Justina Marseille figure. 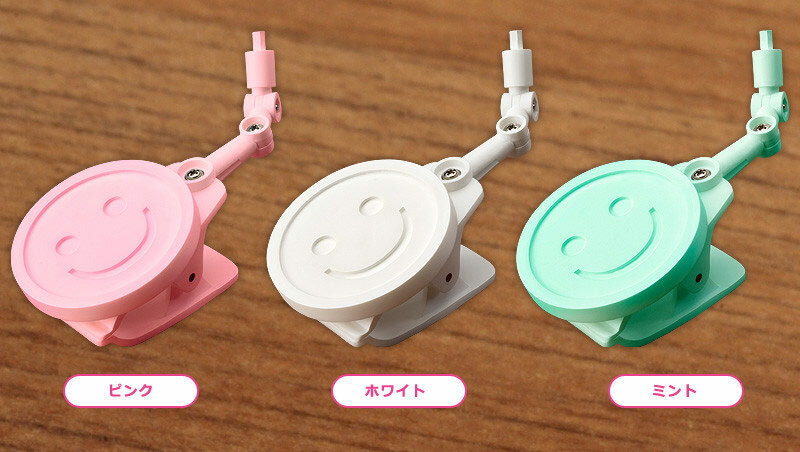 And then I rent a bit about Good Smiles not-so-ideal new Nendoroid suction stands and clip stands. 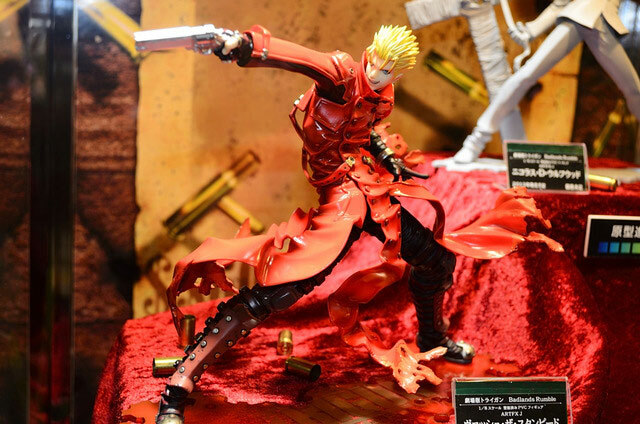 Remember that good looking figure of Vash from Trigun we go a glimpse at during Wonder Festival 2012? 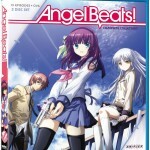 It now has an official release date: late January 2013. 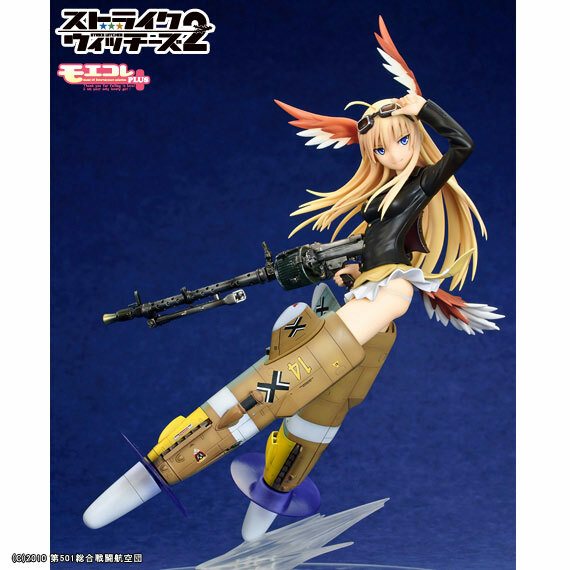 So ok, this is more like a release window than a release date, but the figure is up for preordering right now on J-List and AmiAmi. It comes with a little cat figure evidently called “Kuroneko Sama” (Lord Black Cat). Even though Vash is always trying his best not to harm his adversaries the base of the figure looks like a puddle of spilled blood. You won’t be getting the red cloth or the bullets that the prototype model had for its display, but both are easily procurable products. Especially the bullets, which every respectable household keep in one drawer or the other. The figure is available for preorders here. As you can see both figures are strikingly similar, which means if you are a Strike Witches fan you’ll probably choose one based purely on your subjective taste. Personally I tend to sway in favor of the Volks figure because it looks more energetic, and also because the tail on the Alter figure has a strange angle to it. At any rate both are high quality so I’m sure there will be many who will just fork over the money for both and be done with it. Back in the beginning of 2012 Good Smile Company hired new employees and gave them a mission – to come up with a product that will “display figures more ideally”. Ten months later they announced the Nendoroid More: Suction Stands (above) and Nendoroid More: Clip Stands (below). This is where I’m supposed to pat the GSC employees on the back and say how neat their little freebie stands are. There are only two things holding me from doing so. 1) GSC is actually selling these instead of giving them away at events. And 2) These stands will never work. There is only one constant truth about suction cups – they will inevitably lose to gravity after a while. It might take a day or a month but eventually that precious Nendoroid you have hung from your door/window using the Nendoroid More: Suction Stand will fall. A display solution that is guranteed to fail? Now that is one laughable “solution”. Don’t get me wrong, I think the idea is nice, just not practical in the real world. 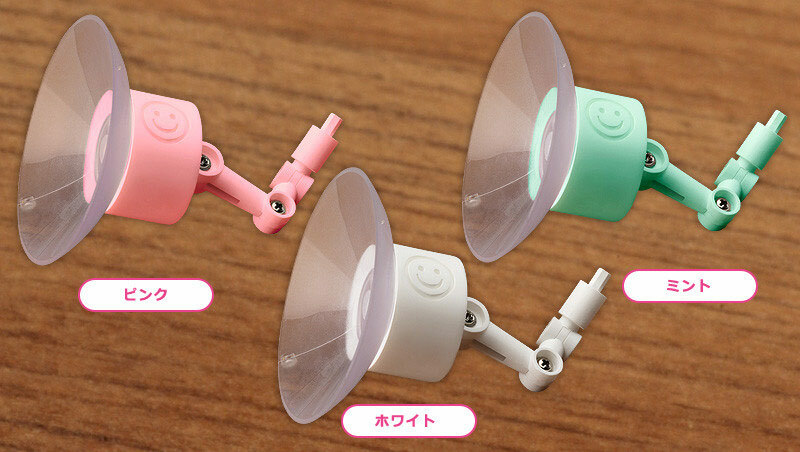 As for the Nendoroid: More Clip Stands these are clips so their use is very limited. Most monitors are fat enough to render the clippers irrelevant and you certainly can’t use them with your average book shelf frame. It’s meaningless. I have no idea where I could clip one around my house. “So what is your idea of an original figure displaying solution?” you might ask. I’ve seen some truly creative and useful figure stands in the past. Third parties are selling miniature display cabinets for Nendoroid Petites on Amazon Japan, complete with mirrors and tiny LED. There’s even this one company that’s offering transparent PC cases with a special box inside for displaying Nendoroids. A PC with Nendoroid compatibility? Now that’s what I call an original solution!